I made an impulse buy the other day… one of those little packets of Mexican hot cocoa mix. 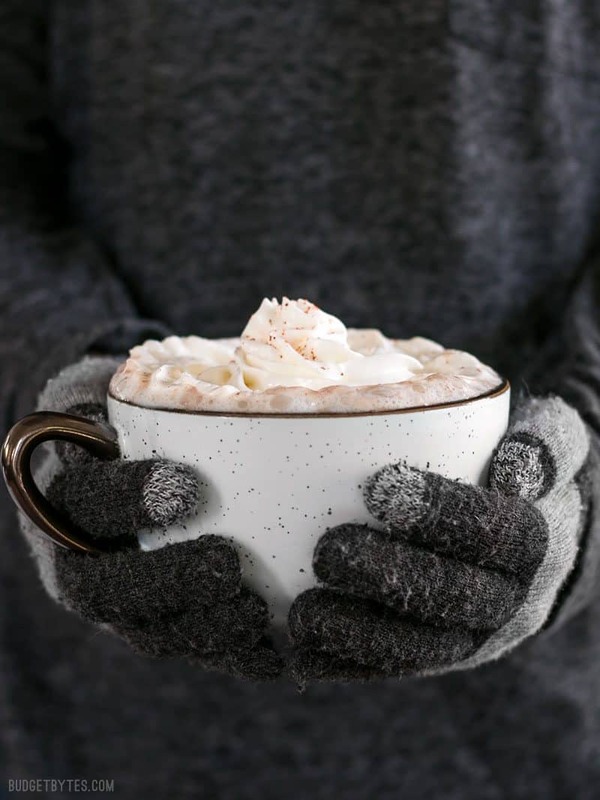 I constantly crave hot cocoa this time of year and I’ve always wanted to try Mexican hot cocoa. In the back of my mind I knew nothing good could come of this little packet of powder, but something in me wanted to believe that it would be yummy. Anyway, it was less than impressive, much less. As usual, I thought, “I could do this better!” So, I made my own version: Aztec Cocoa. My version, although unbelievably simple, truly WOW-ed me. Seriously. I know you’re supposed to use really high quality cocoa and high quality spices for this, but I just used my run of the mill pantry basics and got a really rich cocoa with a nice earthy and spicy kick. I don’t think I can ever go back to plain cocoa. 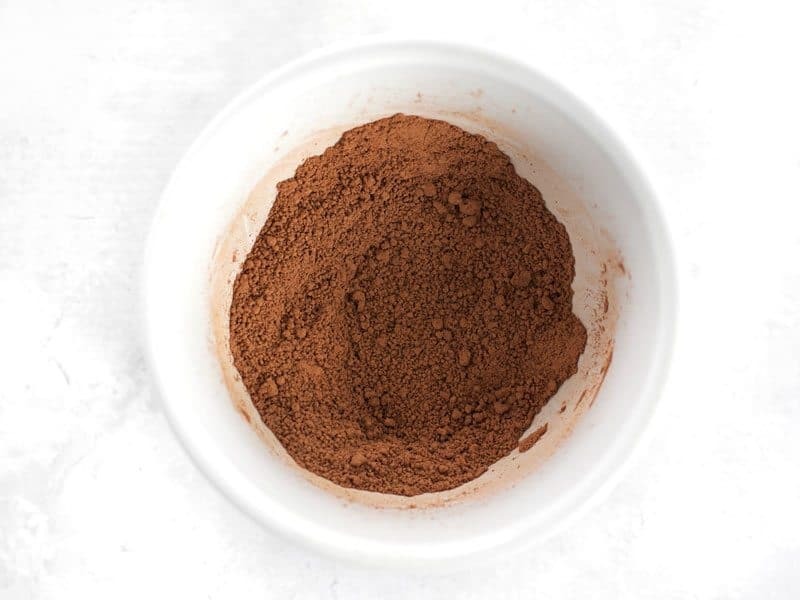 The cinnamon adds a depth and earthiness that regular cocoa doesn’t have and the brown sugar makes it just a bit more rich (thank you, molasses). The pinch of cayenne provided just the right amount of burn in the back of my throat to make me giggle with glee. This stuff is awesome. 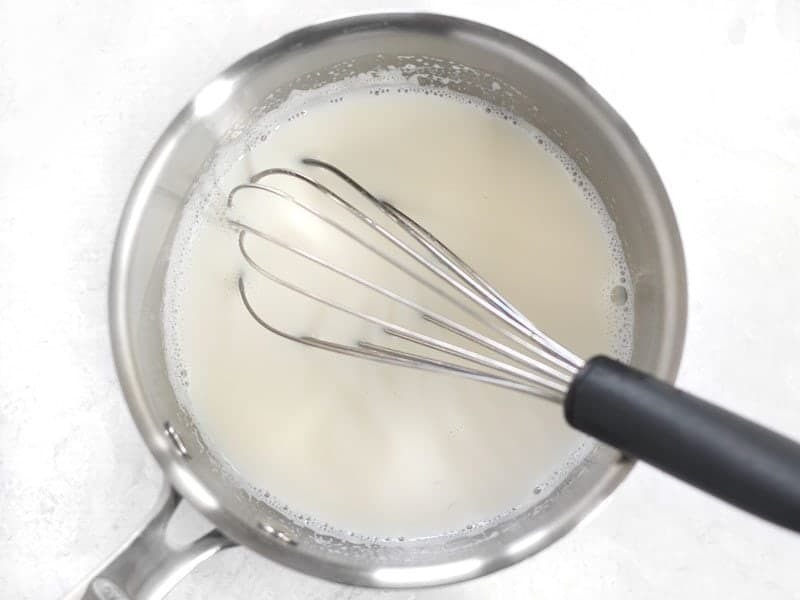 Just a fair warning – the spices do not totally dissolve in milk because, well, they’re not dissolvable. So, there will be some sediment on the bottom of your mug. If you’re a French press coffee drinker, this will not bother you. 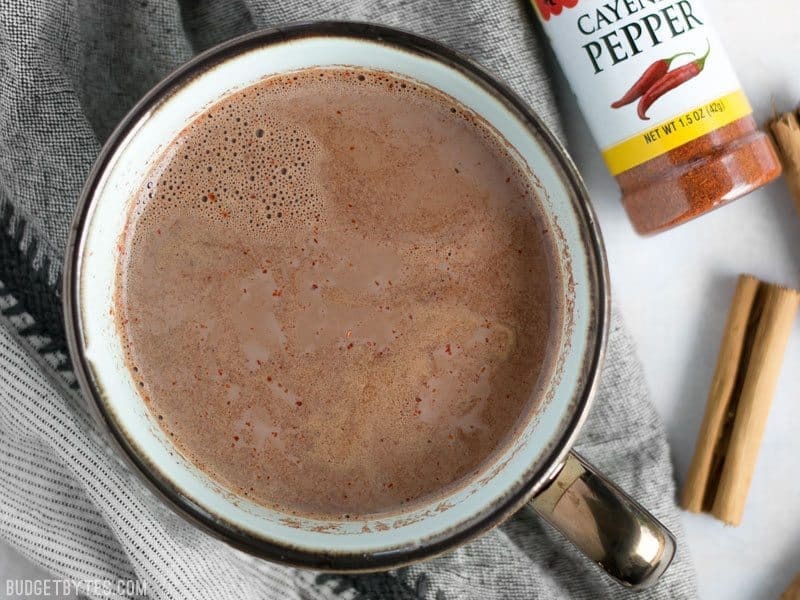 This Aztec cocoa is rich and warm with a slight kick from cayenne pepper to heat you up inside and out. In a small bowl, stir together the cocoa powder, brown sugar, cinnamon, and cayenne. Heat the milk until hot, but not boiling. (Heat in a small sauce pan over medium-low, whisking often, or microwave for about 1.5 – 2 minutes). 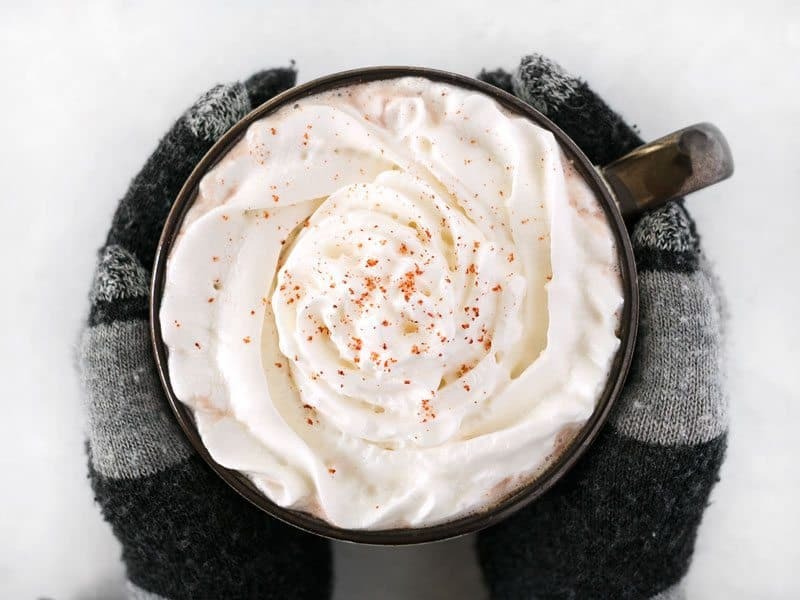 Once the milk is hot, whisk in the cocoa and spices. Drink. Be happy. 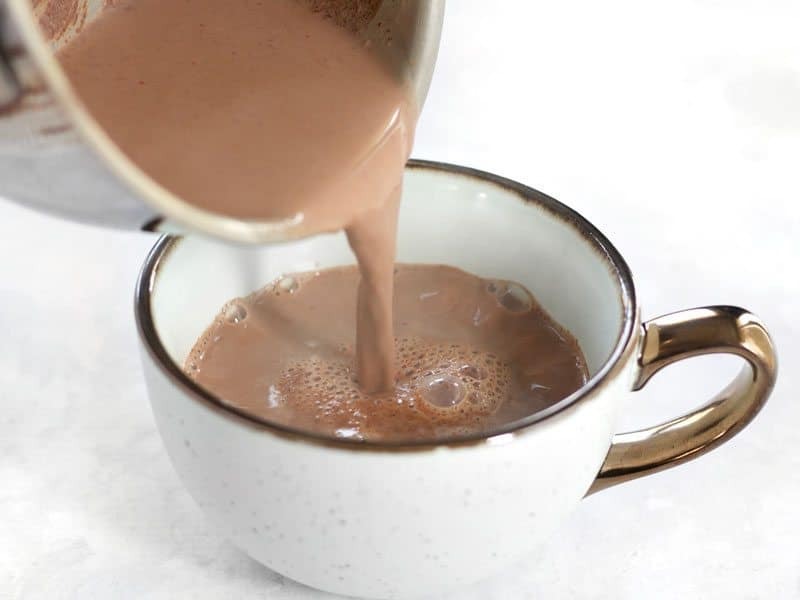 Use 2 tablespoons of cocoa mix per 8 ounces of hot milk. I have to admit, it’s really good topped with whipped cream as well. 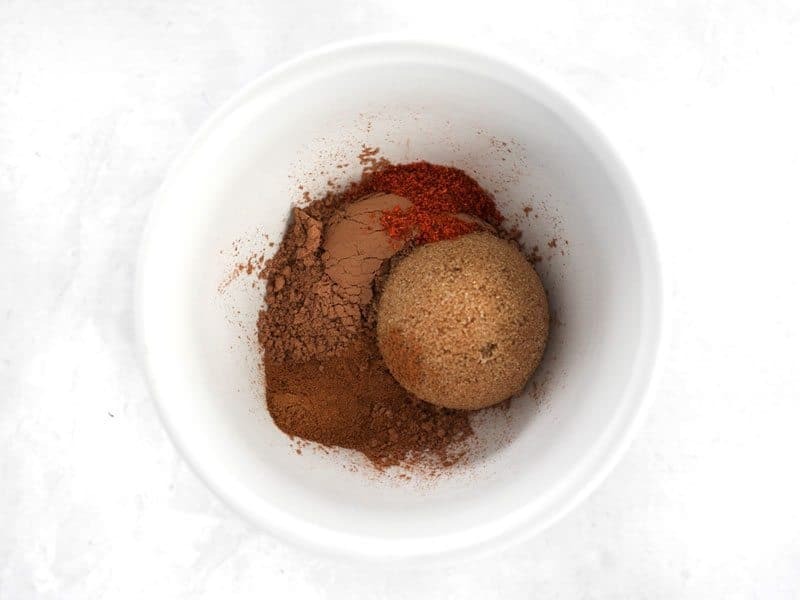 This is all that is needed to take cocoa from “yum” to “warm fuzzies all over”: 1 Tbsp unsweetened cocoa powder, 1 Tbsp brown sugar, 1/4 tsp cinnamon, and 1/16 tsp cayenne pepper. To measure the cayenne pepper, I just filled my 1/8th tsp measuring spoon half way. If you’re sensitive to spices, try just a pinch of cayenne first… a pinch would probably be like 1/32. Of course, that’s just a guess. You don’t have to mix the spices and sugar together before adding them to the milk, but I find it a bit easier this way. It will still be a little lumpy because of the moisture in the brown sugar. Heat 8oz. of milk over medium-low heat, stirring often, until hot. Or, you can just use a microwave (1.5-2 minutes is usually good). 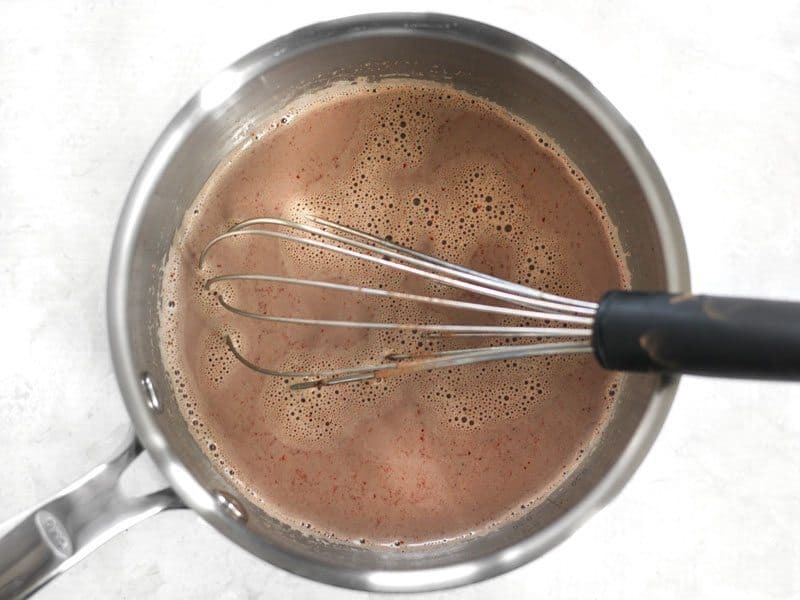 Once hot, whisk the mixed cocoa and spices into the milk. 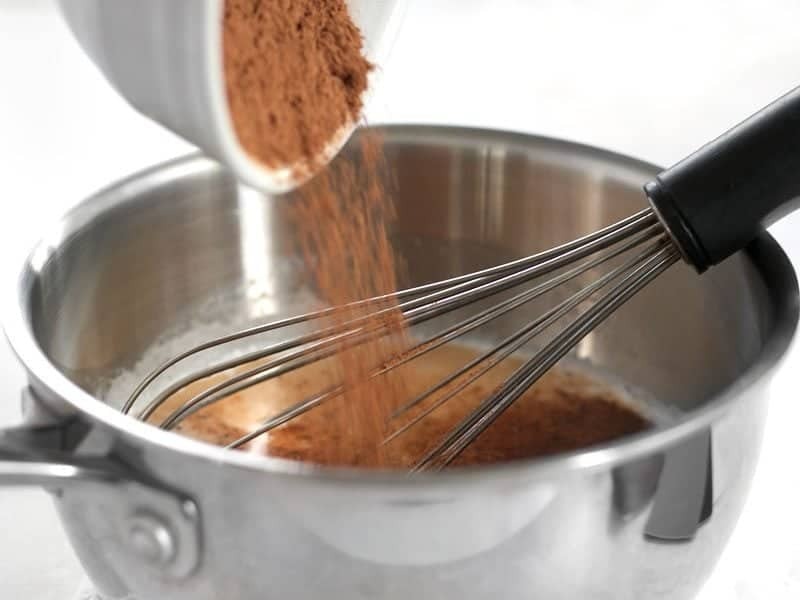 Whisk until everything is pretty well combined. There will likely be a little sediment on the bottom, but not a huge amount. Pour the Aztec Cocoa into a mug and enjoy! 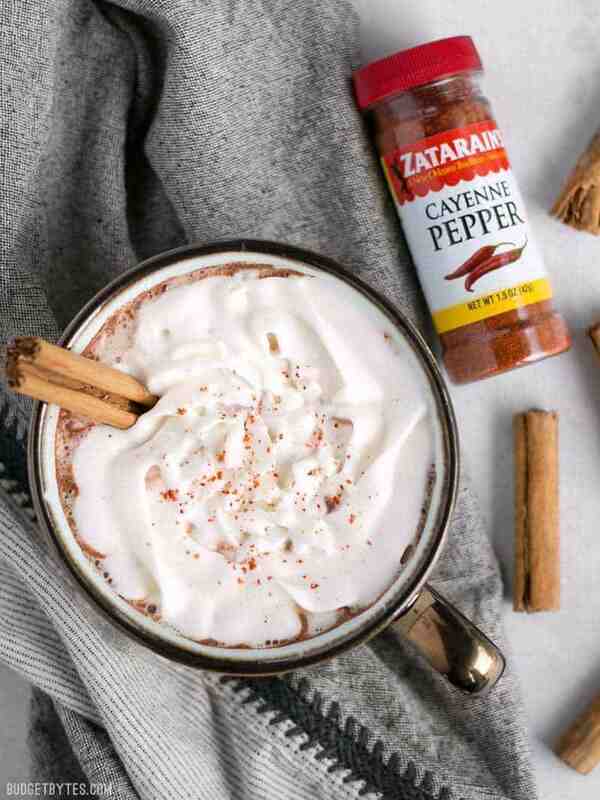 This spicy Aztec Cocoa is the ULTIMATE soul warmer. This looks like it might be just the Christmas gift I’m looking for! What are your thoughts on how well it might keep and the best way to store it? I would store it in an air-tight container and as long as no moisture gets in, it should stay good almost indefinitely! All the ingredients are shelf stable on their own, and they should also be once mixed. Can confirm. I’m happy now. This is wonderful. I mix with water for health reasons. My blood pressure has dropped 5 puts. Since this replaced my coffee. I was too lazy to get measuring spoons, so I just estimated, and the result was a bitter, somewhat sweet drink that leaves a burn in the back of your throat. I’ve been looking for a recipe for a while, and this is by far the best! Hiya! A friend showed me your website a few days ago. I love it. Tonight I made a batch of the mix to keep on hand. Oh my gosh it tastes like mexican hot chocolate. Hubby even tasted it and agreed, just he wants me to use less cayenne next time. Hehehe. Thanks! I can’t wait to add this mix to a mug of coffee!